The International Student Identity Card (ISIC) is the only internationally accepted proof of full-time student status in existence, giving benefits in more than 120 countries worldwide and access to 40,000 discounts. 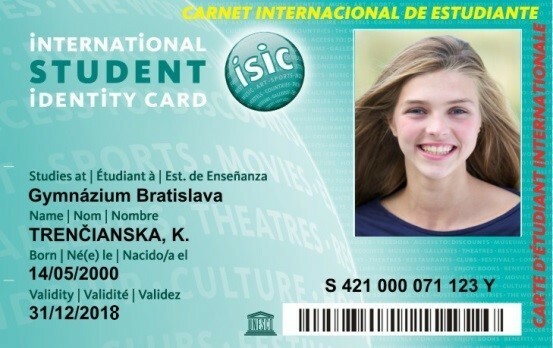 The United Nations Educational, Scientific and Cultural Organisation (UNESCO) endorse the ISIC and recognise it as the unique document for student travel and cultural exchange. 40,000,000 ISIC are issued annually all over the world.